It’s one of those buzzwords that marketing strategists are trying to work out, but many are struggling because brand journalism is the opposite of selling. Brand journalism is storytelling—in its most authentic way. Before I began my career as a copywriter, I worked as a journalist at newspapers in BC and across Alberta. Every so often, a special publication would come out—Summer fun! or Wheels—in which we reporters wrote what we called ‘advertorials’ about businesses with related services. They looked like articles. They told stories. In fact, they were ads. Advertorials are perhaps the first generation in the brand journalism family. Today, brand journalism gives copywriters the same publishing tools reporters have to tell compelling stories, and now we have social media to act as the medium and take those stories straight to an organization’s audience. A few years ago, Forbes launched what has become BrandVoice, a service offering a home to paid-for editorial space in the magazine and its digital version, next to relevant articles. For example, in a profile about two star investors in the investment section, an investment fund places their own piece about a new investment strategy. For brands and readers, as they say, it’s a win-win. A BC Copywriter can write engaging stories about your brand and use the same mediums as traditional journalism, as in this Forbes magazine BrandVoice placement. Photo credit BrandVoice. If your business doesn’t have $600 K to commit to Forbes, fret not. Your local daily and even your own website and blog are just two other, cheaper mediums through which you can practise brand journalism. How do you ‘do’ brand journalism? Brand journalism isn’t about featuring a product or bragging about your accomplishments. It isn’t sales. It’s storytelling. 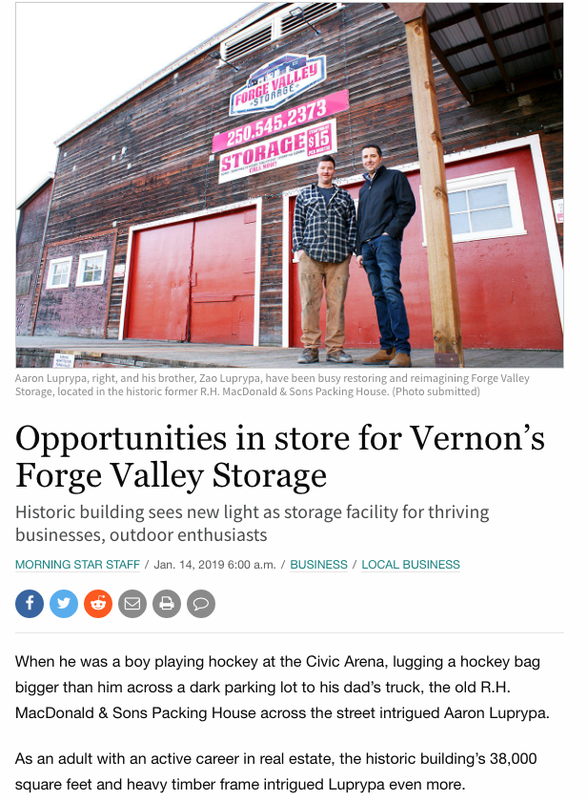 In this article about Forge Valley Storage, rather than submit a dull fact-laden press release, a copywriter at Read Head Copywriting told a story with a number of interesting angles. What are people talking about at the water cooler? Here’s an example: Someone from your tire dealer rescued an old woman with a flat tire on the side of the road. Or, a dentist befriends a nearly toothless five-year-old on a dental mission in South America. There’s some news value there because someone is doing something interesting. Who is doing something cool at your organization? So, you’ve found the story you want to tell. Now you need to tell it well. A copywriter understands how to tell your story in an engaging way that will make your audience want to read right through to the end. This is a narrative, not an email, and it’s worth investing in the help of a professional copywriter to do it right. What if you had a journalist-turned-copywriter on your side? Journalist and copywriter Natalie Appleton & her team at Read Head can write compelling stories for your business so you can make meaningful connections with your customers. Get in touch!